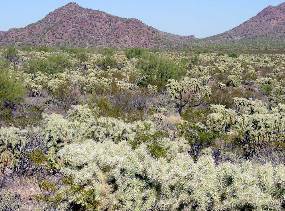 The creosote flat in the foreground and the mesquite-lined wash in the midground are the western edge of Avra Valley. 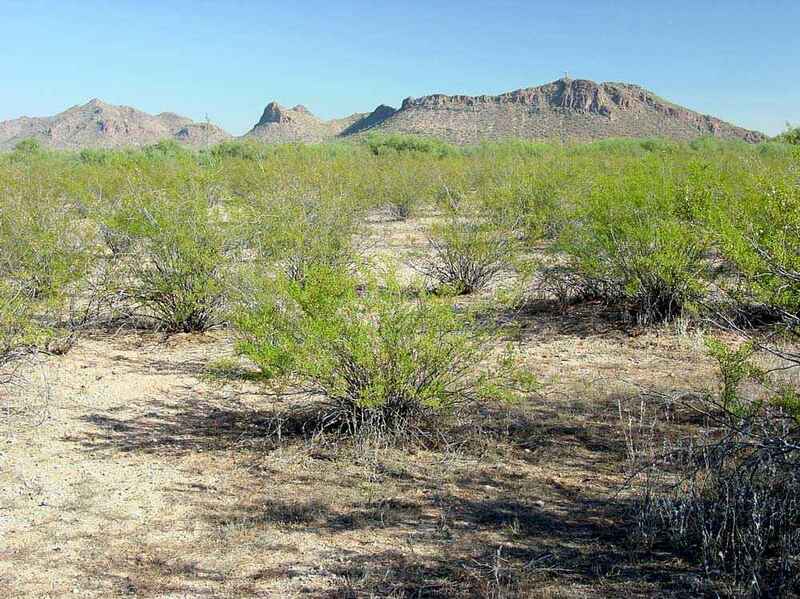 Beyond is the small range called Pan Quemado (burnt bread). 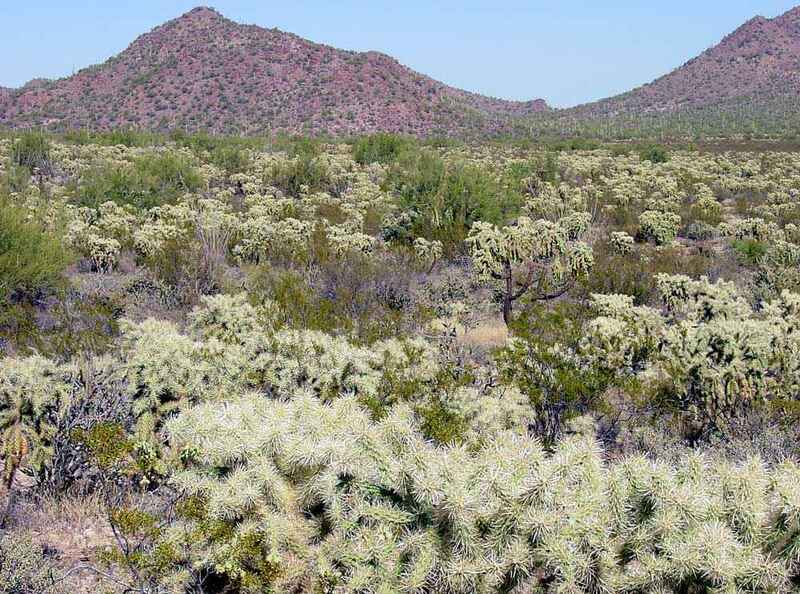 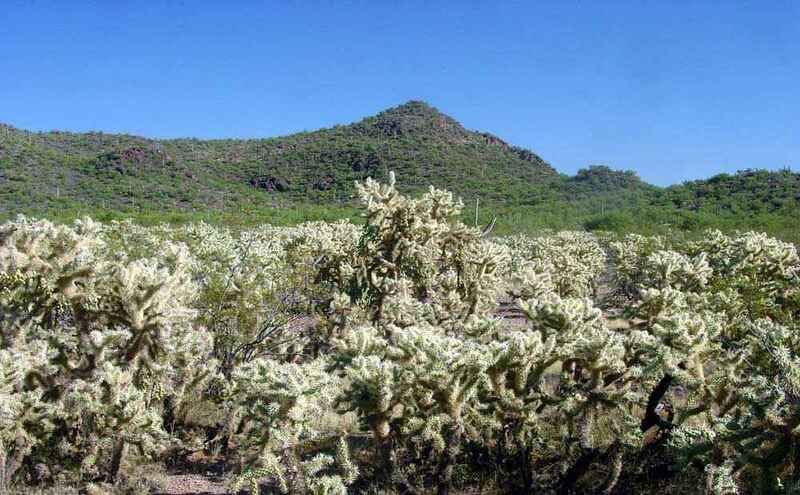 Above and two images below: The Pan Quemado range is ringed by a nearly continuous band of chainfruit cholla (Cylindropuntia fulgida). 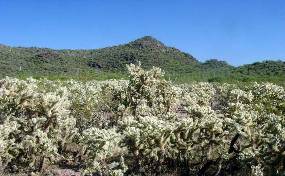 There are no other cholla stands of this extent in IFNM. 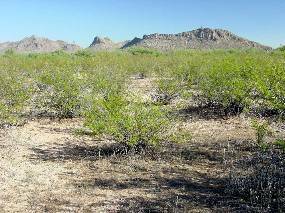 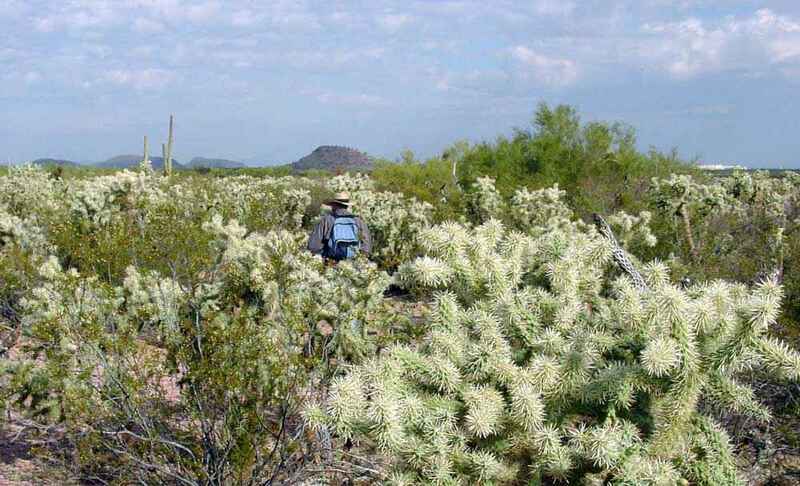 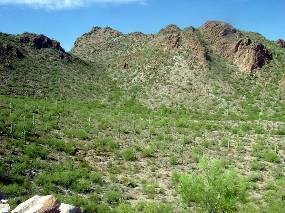 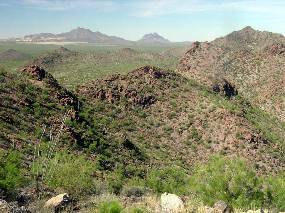 The slopes of Pan Quemado are Arizona Upland Sonoran Desert. 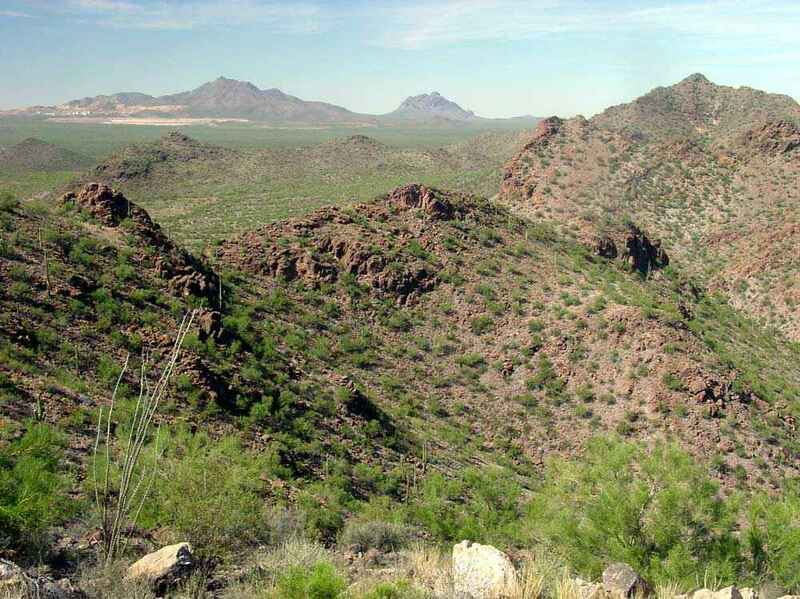 In the right image the Silver Bell Mountains and the ASARCO copper mine are on the horizon.